At least 19 people have been killed in car bomb attacks in two cities in Somalia, police and military sources have said. A car exploded in the capital Mogadishu at a busy junction on Saturday evening, killing at least five people. “So far we know five civilians died in this evening’s blast and seven others were injured,” Mohamed Yusuf, the spokesman for the interior security ministry told reporters at the scene. Earlier on Saturday, al-Shabab claimed a suicide car bomb attack at Kismayo University, which is being used as a base for training government troops. The attack by a member of the armed group, in which at least 14 troops died, was launched as soldiers were lining up for training, military officials said. Sheikh Abdiasis Abu Musab, the spokesman for military operations for al-Shabab, said al-Shabab were behind the bombing in the southern town. 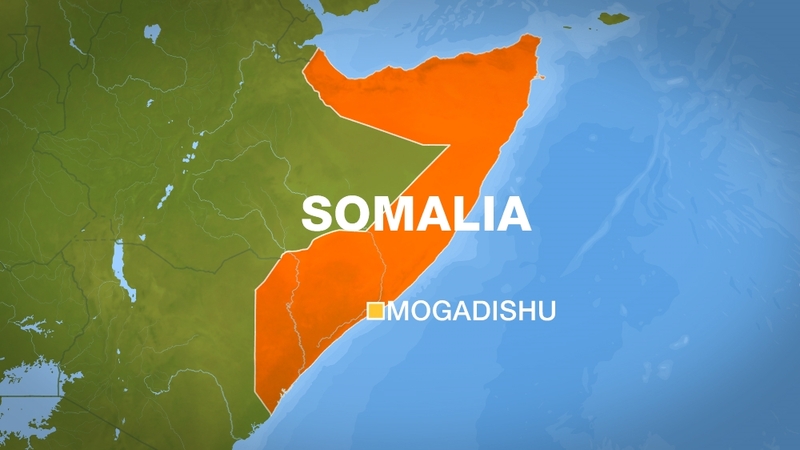 “A minibus loaded with explosives was detonated inside the training part of the military camp,” Mohamed Abisalad, a Somali military official in Kismayo, said. “Fourteen soldiers were confirmed dead and more than 20 wounded. Al-Shabab group, which is fighting to overthrow the internationally-backed government in Mogadishu, has lost control of most of its territory to African Union troops in recent years, but has stepped up attacks in the capital and elsewhere.